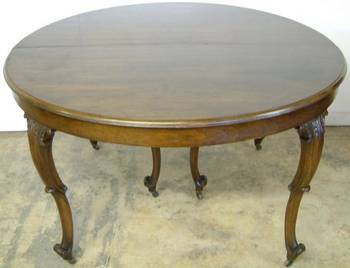 I have featured lots of antique dining room furniture on this website over the years. 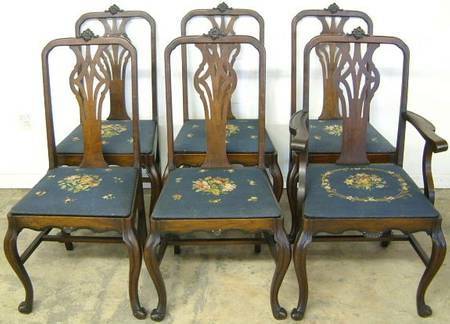 However this antique dining room set from the early 1900's has to be one of my favorites! 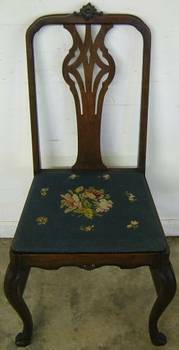 I found this dining room furniture in the Midwest and hauled it to Metro Atlanta to sell at antique auction on February 7, 2003. It was a good thing that Christmas was over because I doubt the dining room set would have been for sale at our Atlanta area antique auction gallery otherwise! 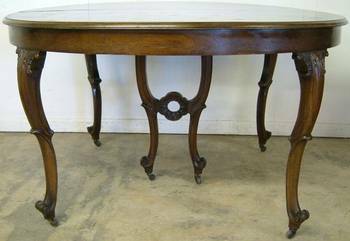 This ornate French style dining room set was made of walnut. 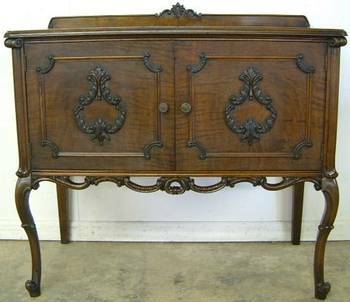 The dining room set featured 10 pieces of furniture including the antique sideboard pictured above. 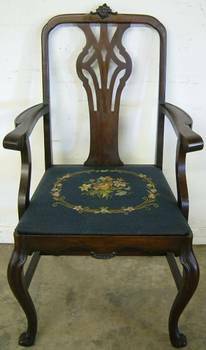 Also included in the set was a glass door china cabinet, round table with leaves, server and set of six needlepoint chairs. 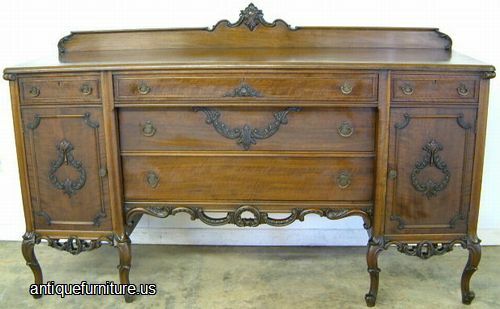 Each piece of dining room furniture featured French cabriole legs and it's original finish. 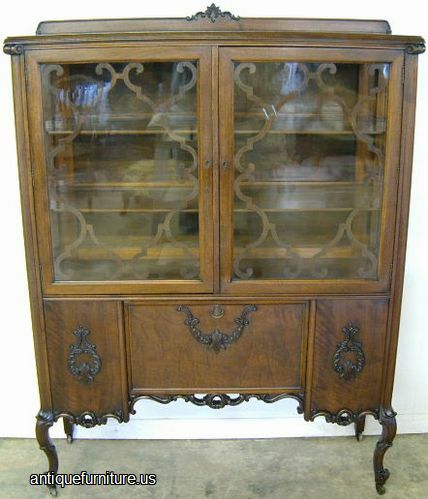 The case pieces sideboard, china cabinet and server were each decorated with applied carving. Large dining room sets such as this one were quite popular in years past. With many older homes featuring large dining areas for the family and guests to socialize and enjoy their meals. Sadly however today's modern homes often don't have the space for large sets of dining room furniture like pictured on this page. As such I have often seen these quality antique dining room sets sold piece by piece to different buyers!